The Kooks: "Four Leaf Clover"
Feeling alone, tired, and generally depressed, but you still have responsibilities? Well, pal, do I ever have the song for you. The Kooks’ newest song “Four Leaf Clover” tells the story of a girl disillusioned and lonely after the loss of her lover, but is still tasked with the job of writing an advice column for other lovestruck but solitary souls. This retelling of my average Tuesday night was pre-leased as part of the Kooks upcoming album, Let’s Go Sunshine, which is due out on the 31st of August. Four Leaf Clover retains the percussive element of the Kooks’ previous album but moves from a bassier funk flavor to a more beachish bop feel. Though still electric, the sound feels more acoustic and authentic, unburdened by overlays and distortion. When I first listened to it, I was struck by how unproduced it sounded. Not that it isn’t clean, but it bears an authenticity and sparsity one might not expect from a quadruple platinum group. It provides a lot of space for the lyrics and hook to make they’re impact. The song is a radio-friendly groove that is at once infectious and dependable. Not caught in the drama of its own narrative, it maintains a driving energy throughout. Steady regularity and a catchy hook strike a juxtaposition between the psychological state of the central character and the craft she is increasingly detached from, finding it draining and futile. 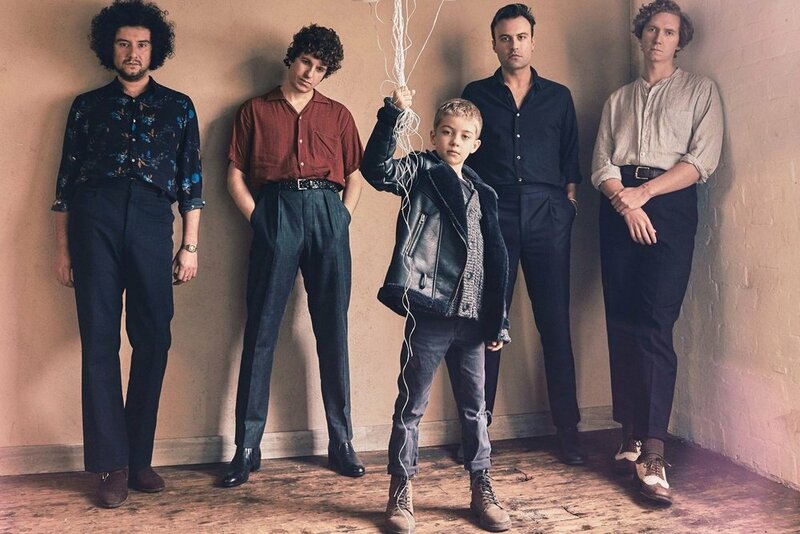 In what initially appears to be a simple song of the summer, The Kooks illuminate a special area of human experience that is only now beginning to be addressed by popular culture. The effects of presenting a false self to a world of equally hurting people, and the necessity for creation in the face of extreme mental and emotional hardship. In a way, it’s cautionary. The heroine of our story turns to the bottle in order to alleviate the pain. But it’s also incredibly real and honest about the effect of others on our lives, and the holes it creates when they are taken from us. An upbeat song that doesn’t fail to address, and identify with, disillusionment and loneliness, Four Leaf Clover holds up across occasion and remains relevant in hardship as few summer ballads do. It is a song to enjoy on a drive in the summer at dusk, but it also holds up as something more poignant and personal. Truly, if, “...when the night is over / And the drugs are gone / All you've got is your four leaf clover” it wouldn’t go amiss.